I am sure most of us would like to be on the same server once GW2 begins if not the same guild. 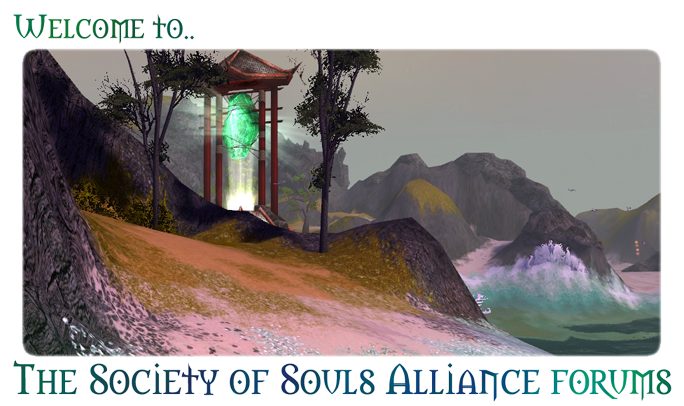 To facilitate that, we will be having a guild in GW2! I wanted to start a sign up list so long so people will know what we will be doing and where when the time comes. So if anyone has ideas about a guild for GW2, please post them here. If anyone wants their name on the list, also post here and you shall be added! I have to admit that I'm a bit surprised that you haven't posted this earlier, I've asummed that since everybody seemed excited about GW 2 we'll all be making the transition together as a guild. That beeing said I agree with Tana that Lyndz should remain the guild leader, the only thing that slightly bothers me is the guild name, don't get me wrong, the reason is that before I started playing GW I was in a cosplay (but not limited to) club called, predictably, Seireitei and I'm a bit tired of Bleach. The name should be anything with monkeys. Everybody loves monkey. Noes Noes Noes NOES !!! Oh and i`ll be getting GW2 fo sho !! Well, I was going to get GW2, but then I saw Balky is going to be there and I don't think I can take having the pink paragon's grandkid in the same world as me . D: But you have to!!!!!!!!! It is not just about Bleach though, it is a good recognizable name from an Anime series everyone will recognize. Hell I haven't watched Bleach in years. But naming it after something obscure or inane just wouldn't do with the Legacy y'all have created here. Might aswell sign myself up to the madhouse early..
Wonder why I didn't see this topic earlier. I want to be part of the family too!! I'm also planning on getting GW2, so you can count me in if you'd like. the only thing that slightly bothers me is the guild name, don't get me wrong, the reason is that before I started playing GW I was in a cosplay (but not limited to) club called, predictably, Seireitei and I'm a bit tired of Bleach. Wonder if we'll be able to use proper grammar in our GW2 guild names. No, I'm not on drugs, at least I hope. Location : In the far far woods in the north. Why am I not on the list already!?!? Of course I'm up for the GW2 guild!